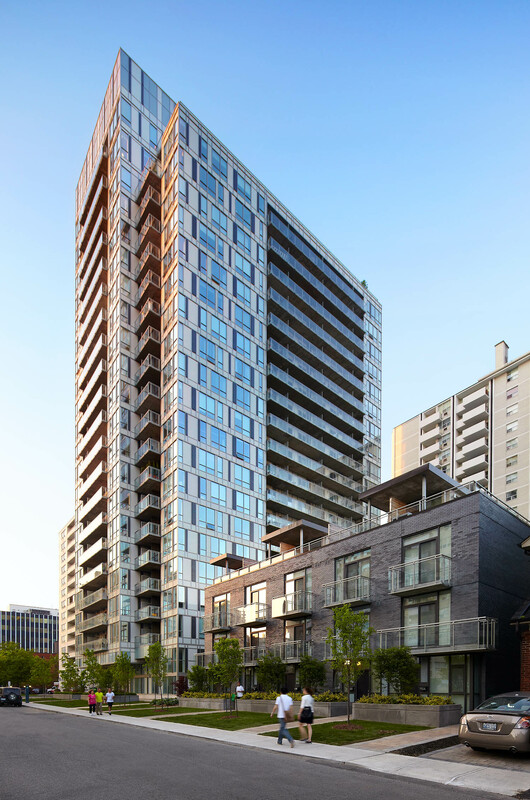 Located in the Yonge-Eglinton neighbourhood, 83 Redpath resulted from intensification of an existing apartment building surface parking lot which allowed for a significant reinvestment in the existing rental building without necessitating rental increases. 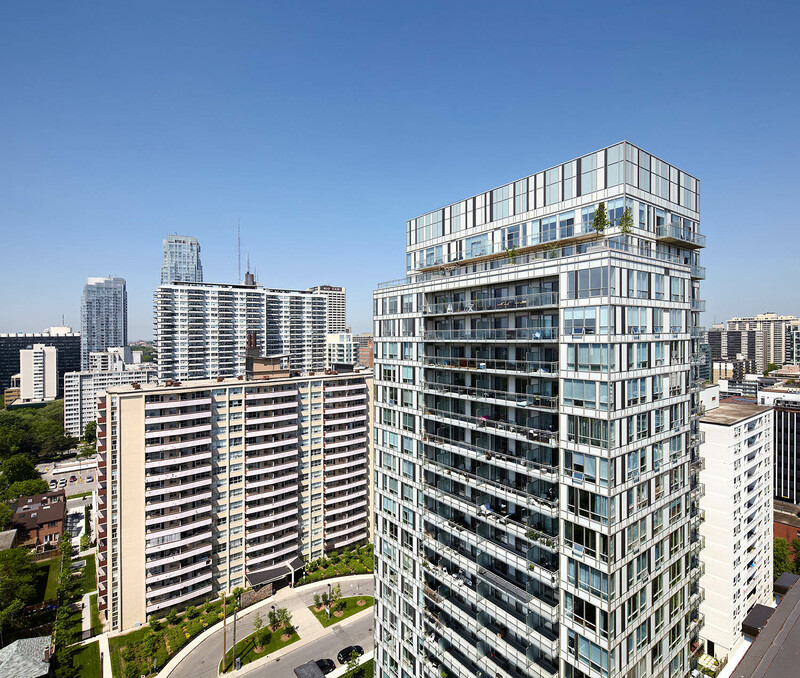 Located in a vibrant neighbourhood at Yonge just south of Eglinton, 83 Redpath was designed with living in mind. 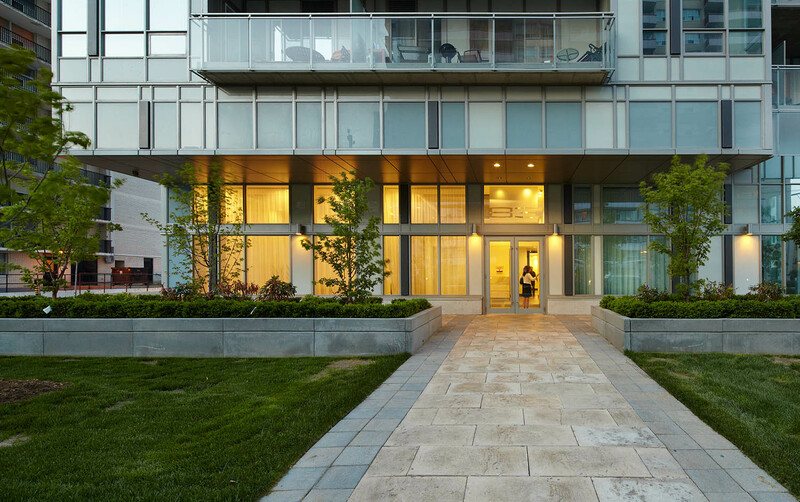 Townhouse units along the street and a landscaped courtyard seamlessly integrate the condominium into its surroundings. Amenity spaces include an indoor fitness pavilion, a theatre room, a yoga studio, half-court basketball and guest suites. The intersection of two soaring rectangular volumes create two dramatic spaces: an open air rooftop paradise on the 20th floor, and a powerful entrance, created by the expansive cantilever floating over a two-storey lobby. 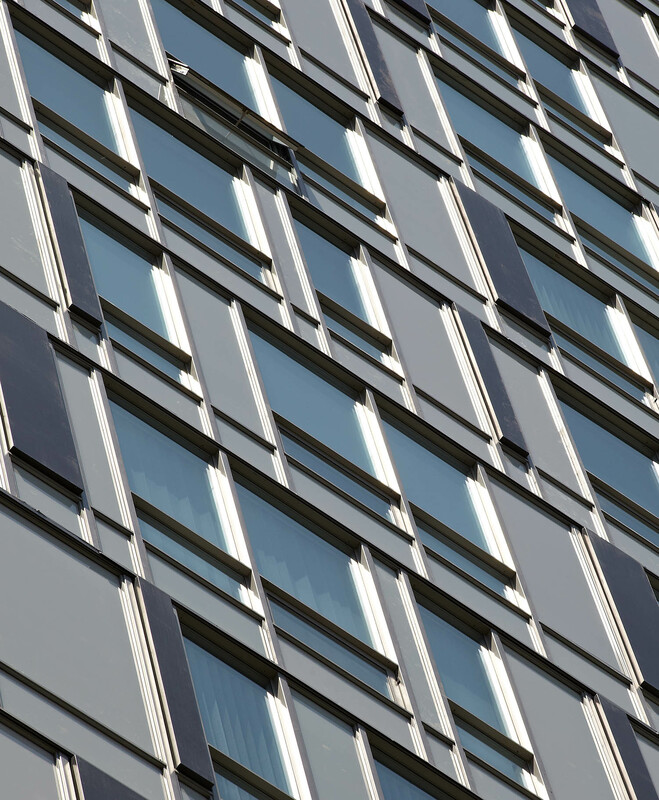 The façade is sleek and tight, animated by a playful pattern of shimmering glass panels as a counterpoint to the tailored architecture. Sweeny&Co combines its expertise in green office building with a passion for creating unique design responses. 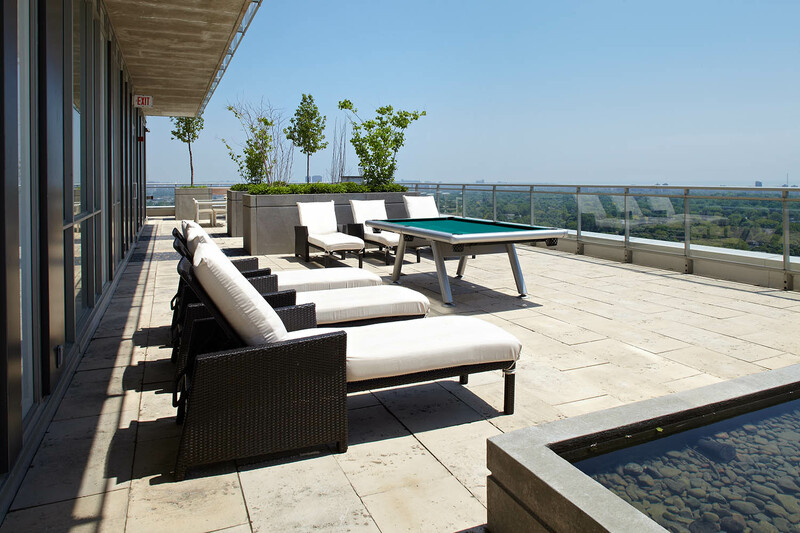 With the latest innovations, this modern, clean lined condo not only offers quality finishes and flowing suite layouts spilling out to generous balconies, it presents home owners with energy savings and new conveniences. 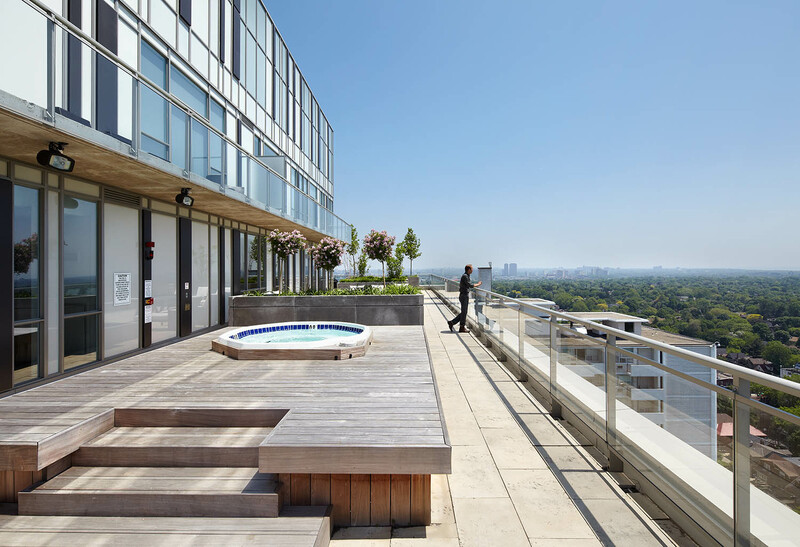 The landscaped roof, super high efficiency boilers, and rainwater collection are just a few of this condominium’s many innovative sustainable features. 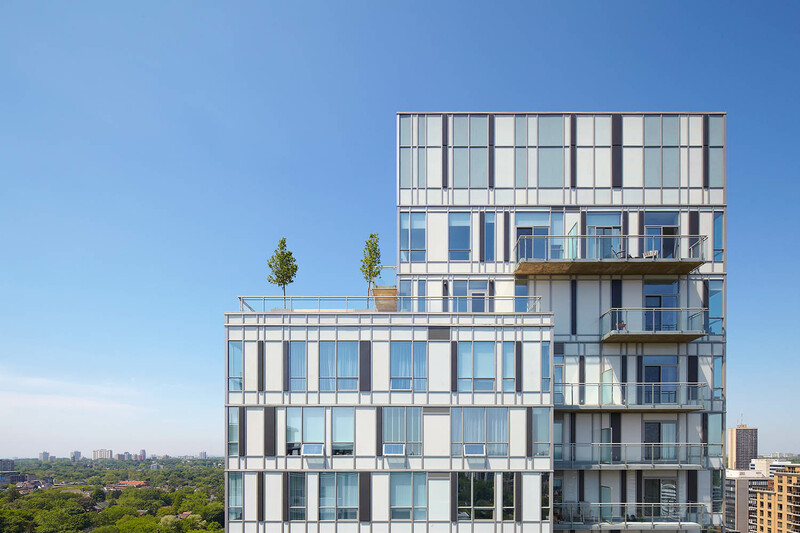 83 Redpath resulted from intensification of an existing apartment building surface parking lot. 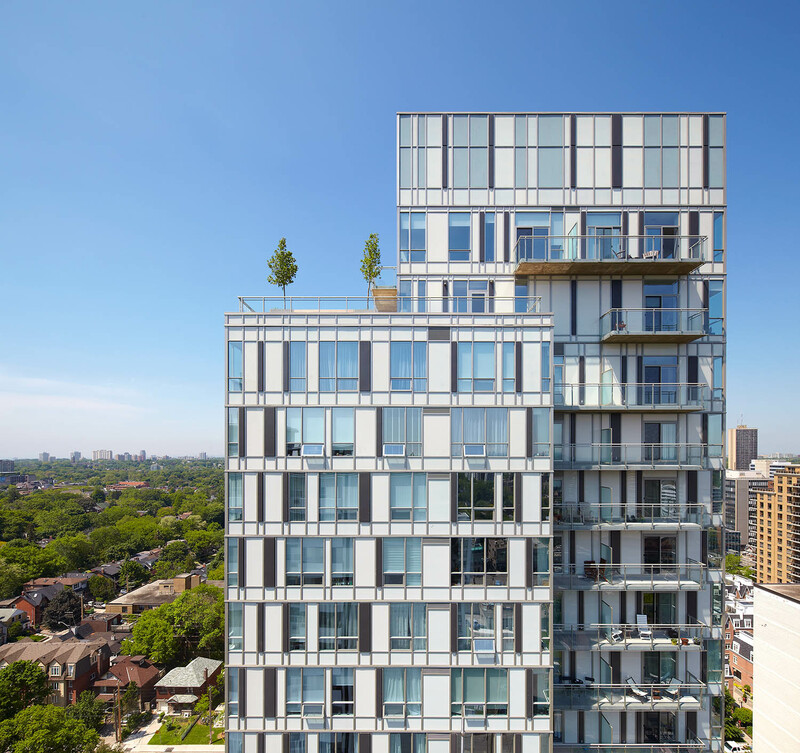 A new 22-storey point tower was positioned to minimize impact on the existing 20-storey rental apartment building. 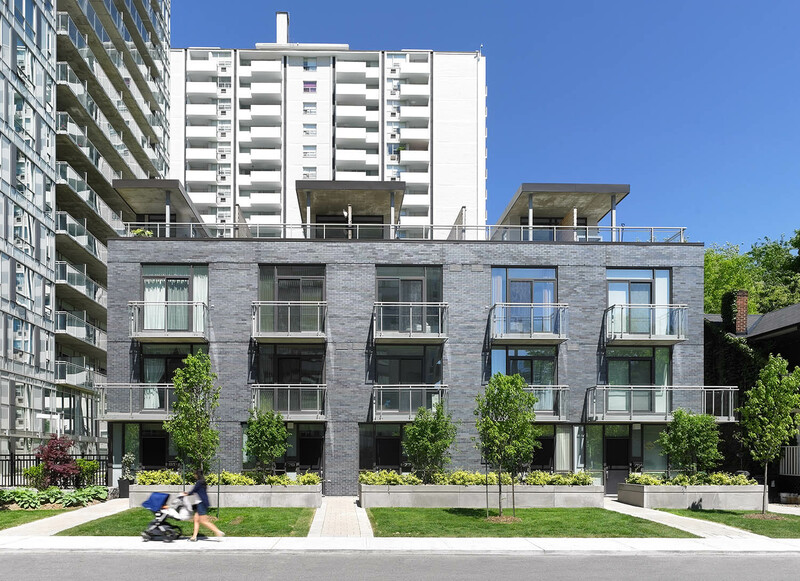 The intensification allowed for a significant reinvestment in the existing rental building without necessitating rental increases. This “Green Globes” project was completed in 2010.